I am new to bios modding and I am curious how I would go about adding support for a xeon e3 1240 v2 as well as overclocking on my acer aspire m3970. It has an ami bios and it currently has an i3 2120. thanks. Have you the hardware programmer? I don't have a hardware programmer where can i get one? Current BIOS hasn't support for Ivy Bridge core. This support can't be added by usual software methods. Your motherboard has soldered BIOS chip. 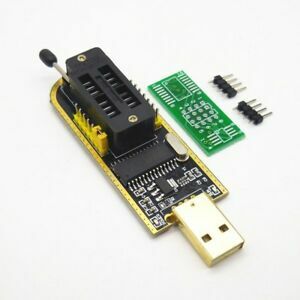 Read BIOS chip by this hardware programmer and post the result. 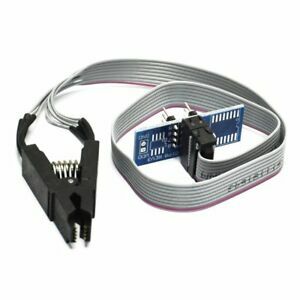 I ordered the bios programmer but i don't know how to use it. also there 3 or four chips that look like a bios chip which one is actual the bios chip. by the way, sorry for the long reply any help would be greatly appreciated. (07-12-2018, 08:12 AM)IronGAMMER36 Wrote: [ -> ] also there 3 or four chips that look like a bios chip which one is actual the bios chip. Look at a picture above, at the bottom left corner. This is BIOS chip. How do i go about modding the bios to add support for the xeon e3 1240v2? First step - add support for Ivy Bridge core. Then solve problems with Xeon. Looking for 3rd gen CPU support for this board.